Automatic band sawing machine for straight cuts. Twin column on sliding guide rails. Electronically controlled ball screw feeder system. Cutting capacity 600H x 600 mm construction steels , alloys and stainless steels, profiles and solid. Pride of the Rusch range for its high productivity on any type of material. 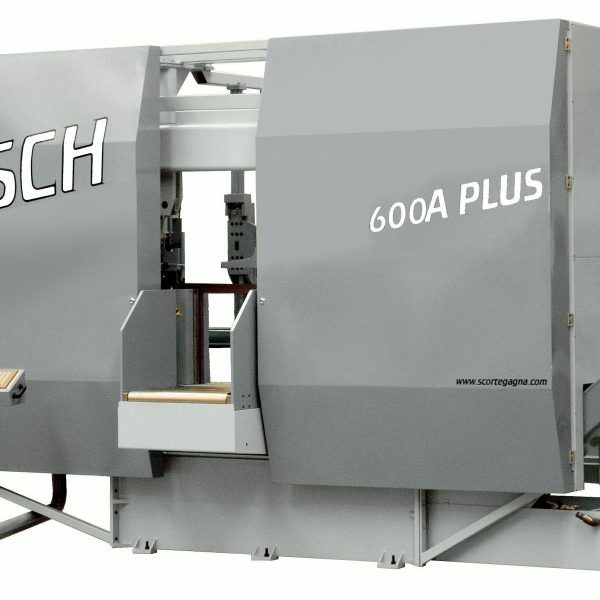 RÜSCH® automatic advanced numerical control two-axis closed-loop. 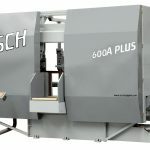 AUTOSAW management automatically providing cutting parameters once programmed with material spec and length to be cut. Hydraulic pump shutdown when machine left idle. Motovariator inverter as a standard (infinitely variable electronic speed blade-assisted numerical control). Pressure reducing valves on vice jaws.